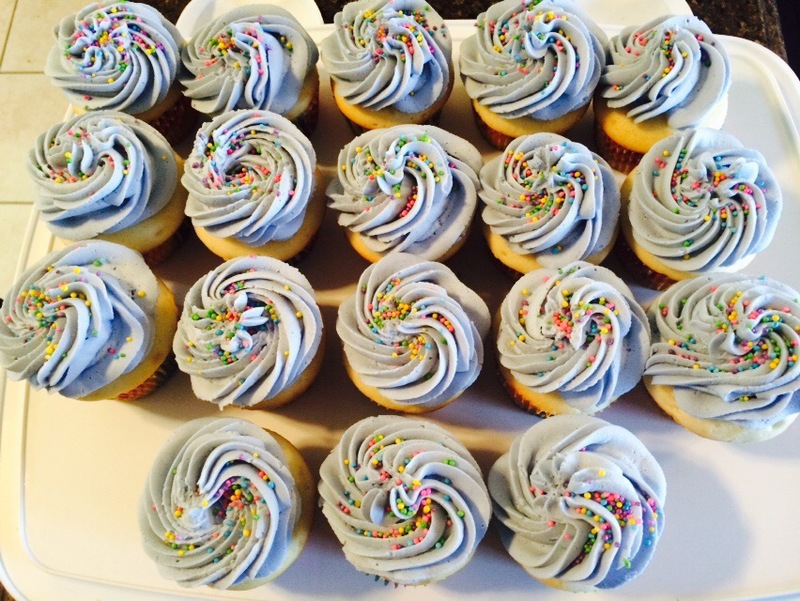 I also made some Cupcakes for a co-workers Birthday tomorrow! 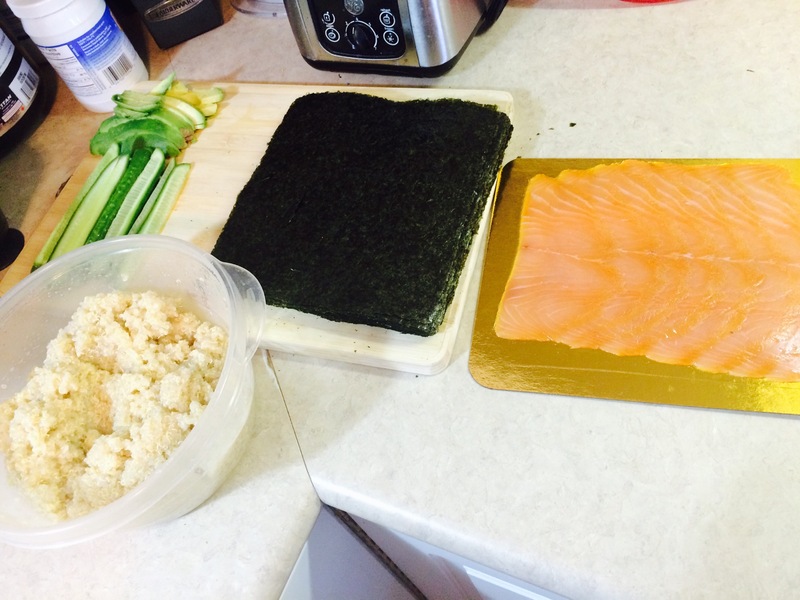 We had also planned to make Sushi for dinner. 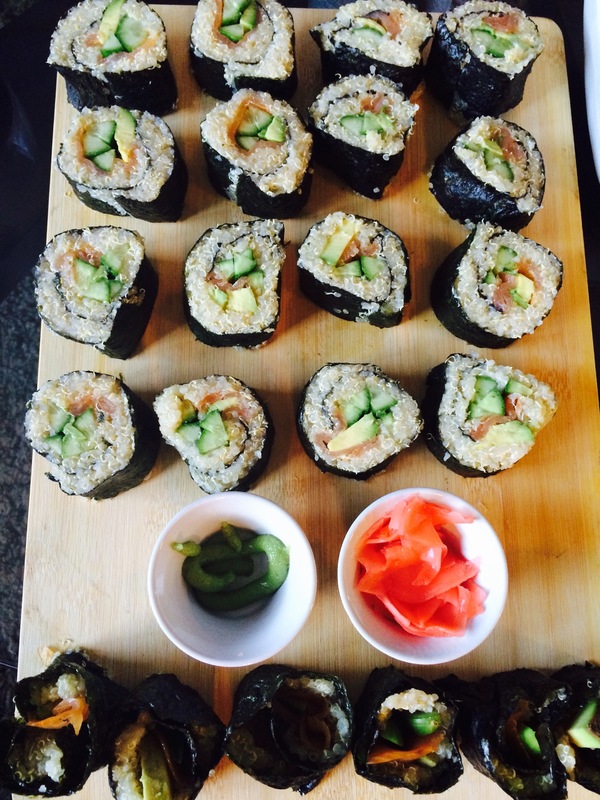 I wanted to make it a bit more healthy then traditional sushi. 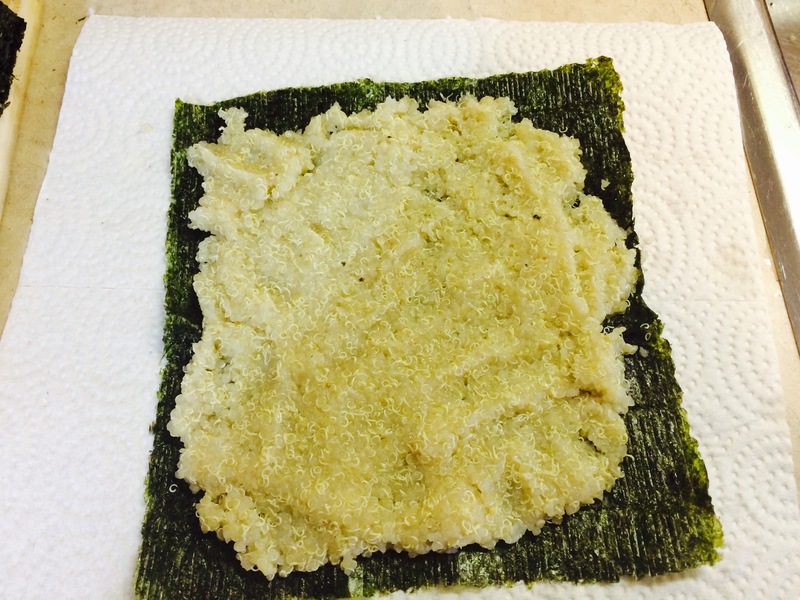 I figured I could make it with Quinoa instead of rice……and actually it worked! 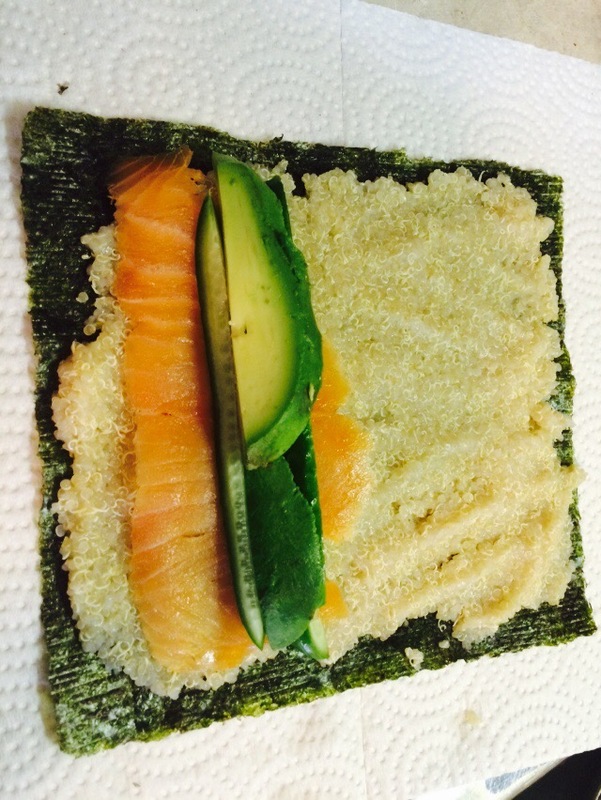 I don’t have the bamboo rolling mat, so I had to make due……..
We used smoked salmon, cucumber and avocado……. I will call Sunday a win…..5k race in 6 sleeps!!! !